Some weeks ago, we published an article about ZE:A and how bad luck (combined with bad management) had affected their career negatively. This time, though, I have no doubts when pointing at Dalmatian‘s company as their unluckiest event… together with some random bad luck along the way, of course. 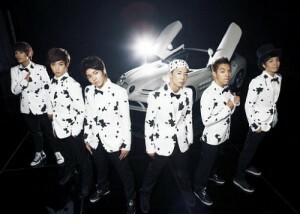 Dalmatian debuted in September 2010 under MC Mong‘s self-established company, Monkey Punch Entertainment, with six members. Having MC Mong as their mentor and taking into account that, out of the six members, three of them were rappers, the band was expected to debut with a hip-hop concept. Their first single, “Round 1”, wasn’t really successful; I don’t know if it was the weird combination between cute and hip-hop from the single or the fact that they only promoted the song for two weeks. But I’m pretty sure that the dalmatian print is just not cool — leopard print may work, but really, dalmatian just… doesn’t. Because a lackluster debut doesn’t mean anything as far as K-pop is concerned — see Girl’s Day, and I’m talking about success here, not musical quality — Dalmatian came back on February 2011 with their first mini-album, from which they promoted both “Lover Cop” and “That Man Opposed”, and bad things started to happen. I don’t want to get overdramatic, but one of the members bleeding on stage after accidentally being hit by another member is bad. They can now be found in every “K-pop accidents” YouTube video, so I hope that raises their popularity at least. Just two months after their “That Man Opposed” promotions ended, member Dari announced he was enlisting in the army… the day after. The mandatory military service is one of the unluckiest events for every K-pop boyband, but for a group that wasn’t even one year into their debut, it’s just really bad. Their company announced then that Dalmatian would be promoting as a 5-member group, but truth is, they basically disappeared from the K-pop scene during 15 months. Few groups can afford to leave such a big gap between promotions, and definitely it’s only the established ones. 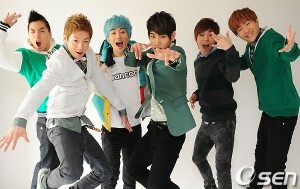 Besides, when they finally returned it was to announce that member Day Day was leaving. As fellow writer Nabeela explained in her recent post, Day Day had an extensive background, was underused in a group as Dalmatian and just didn’t have the time to wait for Dalmatian to take off. With the departure of Day Day, Dalmatian lost their best rapper, and it’s not like they weren’t a bit short of rappers after Dari left. 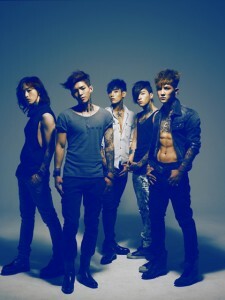 They added Simon to compensate and proceeded to the typical K-pop comeback technique: changing their hairstyles. Right before their comeback, some of those random bad things that happen to people with bad management problems took place (see the aforementioned ZE:A): the gym they frequently visited burned down and their manager was taken to the hospital due to stomachaches. Besides, there was a car accident while shooting their MV — the title of this article isn’t so without a reason. The worst part is that Dalmatian recently released what probably is their best work to date, but due to their bad luck in general and specifically their bad management, they will most probably be overlooked. And then there’s this eternal uncertainty of whether I should call the maknae Daniel or Drama that’s eating me up inside. Do you think Dalmatian has suffered from incredibly bad luck?